The people here inspire us to continue doing what we can, with hope that a cure will someday be found. For those with Parkinson’s Disease, every day is “Parkinson’s Awareness Day.” The people below continually inspire us to keep up the fight. I was diagnosed with Parkinson’s’ Disease (PD), in February 2008 at the age of 53. I am learning that my biggest challenge is not my disease, but my attitude towards it. PD does not define who I am—I will not allow it to take over my life. My journey with PD is fairly new, but my journey with God is not new and for that I am so thankful. I know that God will use this journey I am on for His glory and will work all things together for good, because I love Him and trust Him with my life (Romans 8:28). We never know when trials may enter our lives but enter they will! Having been a dancer since the age of four, to now struggle with a movement disorder such as PD poses quite a challenge for me. My husband and I are learning to take it one day at a time—not knowing what the future holds but trusting completely in the One who holds the future. I have been so blessed and I know God will guide my every step—maybe I’ll even dance a little along the way! Each morning His mercies are new and He shows me that His grace is sufficient for the day. PD research is on the cutting edge of significant medical breakthroughs but it doesn’t happen without financial support. On behalf of the many who will benefit from your support, I thank you, and may God bless you. Everyone’s battle with PD is different, but every battle can inspire someone else to keep fighting. Please tell us how you’ve overcome the obstacles presented by Parkinson’s Disease. Anthony, known more commonly as “Andy” or “Papou,” first noticed the tremors in his hand in early 2010. Having spent a lifetime overcoming obstacles, health-related and otherwise, he’s taken steps to deal with Parkinson’s while going about his business and his life. 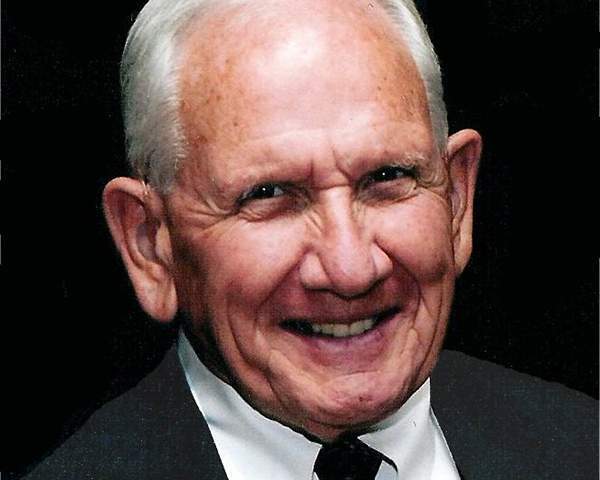 Andy’s devotion to his family, church, and community lead him to make continuing, generous contributions of his “time, talent, and treasure” to innumerable worthwhile causes. It is his extraordinary generosity and kindness towards those in need that has inspired us to help people with a disease he now has. I am from Ottawa, Canada. I’ve been an avid cyclist since 1976. In December of 2011, I was diagnosed with Parkinson’s disease at the age of 53. A year ago I was surfing the net and came across your web site. I found your cycling jersey awesome looking. I ordered one. I immediately started wearing it at club rides, Gran Fondo Hincapie, Levi Leipheimer’s King Ridge GranFondo, and Gran Fondo Mont-Tremblant. Once in a while people ask me about my jersey and Parkinson’s. My answer is pretty much the same every time. Laughingly I say, “I have Parkinson’s, and you see that hill over there? That’s where I’m going to drop you.” My point: today, Parkinson’s will not slow me down. In July 2013 I rode La Marmotte [in the French Alps], the toughest cyclo-sportive in the world. 174 kilometres long with 5200 meters of accumulated elevation. I finished the ride after 9 hours, 50 minutes of proudly wearing my Pedaling 4 Parkinson’s jersey. Mind you, my result did not grant me the gold level. I had to settle for the silver. Still I was very proud of what I accomplished. People like you are the backbone of raising funds and awareness. Without you a lot of things would come to a halt. At the end of the day I am just a cyclist enjoying beautiful rides organized by people like you. —Jean Belzile, proudly wearing your colors all over the world. 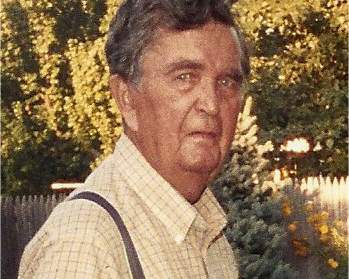 My great-grandfather lived with Parkinson’s Disease for years before he passed away in 1990. I remember as a child how his hands would always shake and how it got worse over the years. I particularly remember thinking how sad it was that he struggled with the simplest things such as holding a cup of coffee, and that near the end of his life, he was no longer able to do so. I witnessed as he slowly lost the ability to care for himself and became dependent on others for even the most basic needs. When I was older I realized that he was deprived of many happy and fulfilling years with my great-grandmother, who lived for nearly fifteen years after his death. This personal family experience coupled with the sheer number of people afflicted with Parkinson’s motivates me to work toward finding a cure so that others are not similarly robbed of precious years with their loved ones. I was diagnosed with Parkinson’s twelve years ago at the age of 45. I finally had gotten to the point of such poor mobility I was sitting on the couch wasting away. I knew I had to do something to fight back against the disease. I started mountain biking just over two years ago and found the balance I no longer had on my feet. I hoped to ride 2 to 3 times a week for a couple of miles. It’s been an every day, long, bloody and bruising extremely grueling journey . 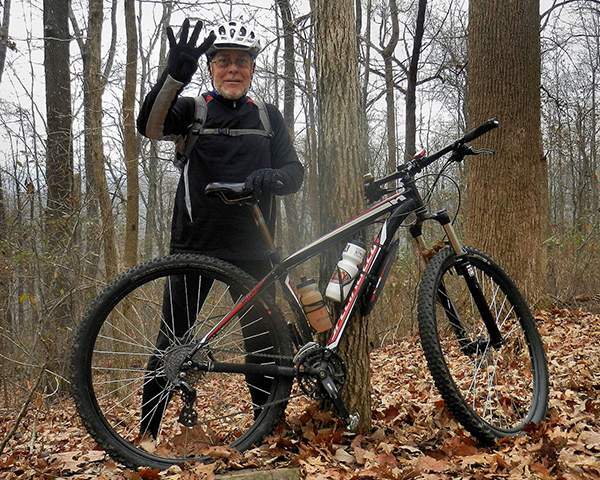 . . but on Friday December 19, 2014, I hit the 4000 mile mark on my mountain bike! Thanks to the power of exercise I now have some control of my life. I have P.D., but to me P.D. means Profound Determination!